There is no more stressful and critical time for a hospital IT department than during planned or unplanned downtime of the network, EHR, or HIS. Preparing for the these times is required by Meaningful Use in order to better manage patient safety during times of network uncertainty. The Summit All Access solution is a business continuity product that ensures patient data is available 100% of the time regardless of downtime or outages. Downtime can be expensive, chaotic and potentially dangerous for patients. 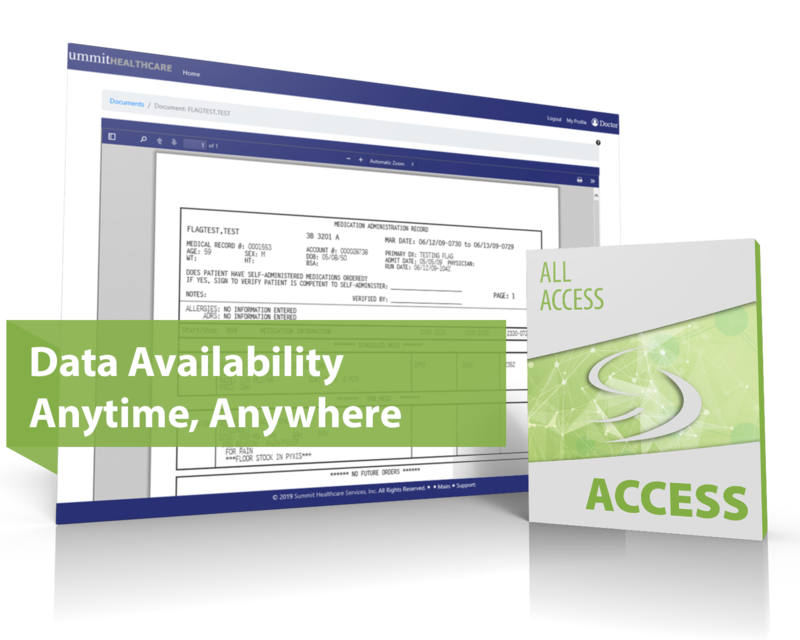 Summit All Access ensures your physicians and staff have uninterrupted access to critical patient records as they make treatment decisions. While this allows you to meet Meaningful Use measures designed to protect patients during unscheduled downtime, it also gives more flexibility to your organization to schedule minor and major downtime for updates, transitions and troubleshooting without scheduling costly and confusing shutdowns. Read more about the features of Summit All Access and see how the Summit team can address your business continuity needs with a scalable, customizable and reliable solution. Sometimes its just easier to speak with someone to clarify your needs. Our experienced team can even walk you through the process or show you a live demonstration. Click the button below to get started.